Jeep Patriot is the smallest SUV that Chrysler produces. The tried and true V6 engine was not used in this model. Two other engines that had success in other Chrysler-Jeep vehicles were used. The 2.0 and the 2.4 are both 4-cylinder engines. These are great for fuel economy and are just as good on the road with the tow package. Not many small SUVs have 2×4 or 4×4 capability except the Patriot. We are an engine dealer that provides Jeep Patriot engines for sale in used and rebuilt engine configurations here at www.carenginesforsale.com. Getting what you need won’t cost you an arm and a leg. We believe in the power of Jeep engines. If you study the history of the Chrysler-Jeep partnership, you will find that Jeep has outsold every competitor that it has faced in the 4×4 market. The Eagle brand automobiles and trucks struggled to find an audience although these engines are still produced today. The 2.0 and 2.4 both appeared in the limited Eagle runs. Do you want a clean engine? We can promise you will get one here. Many of our largest customers are salvage shop owners and body shops that sell engines that get installed in customer vehicles. 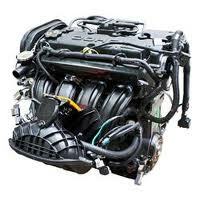 We try to make every customer look great with our Jeep engines for sale. Buying used and buying rebuilt are generally the same process. It is what you get in the end that matters. We can honestly tell you that we are not interested in just selling engines. We want to support you and give you more than one option to get the Jeep engine that you need. We can tell you that used engines from our inventory are not like many that you might have found online. Our engines get hand checked by real mechanics that work right in our engine shop. We are not reselling anything from some other company. We are the originators. If you buy rebuilt engines, the process that we use for getting them ready for sale is the same. Only genuine parts are added for the rebuild. OEM means a lot to us an we refuse to use anything except true Chrysler parts. Changing out parts is not the difficult part for a rebuild. It is the testing that will determine how great an engine will function. Reconditioning an engine should always include testing. We put each engine through multiple testing processes to prove how great they are when in operation mode. This is why our warranty rate is almost non-existent with our customers. We don’t have to fix anything because there are never any problems. We’re your Chrysler 2.0L and 2.4L partners online. The easiest way to get the lowest Jeep Patriot pricing is to use the web form for quotes on this page. Just type in the simple information that the form requires and you get a great price. We even have a toll free number if you’d rather get a quote using the phone. Call our specialists at 1-877-630-3873. We treat you wonderfully anytime you contact us or purchase one of our engines.